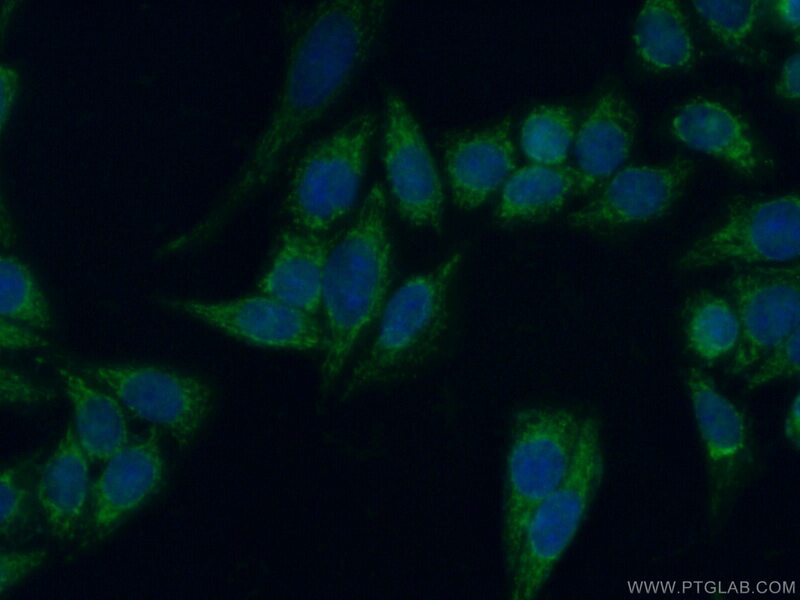 IP Result of anti-Plasminogen (IP:16776-1-AP, 2ug; Detection:16776-1-AP 1:500) with human plasma tissue lysate 4000ug. 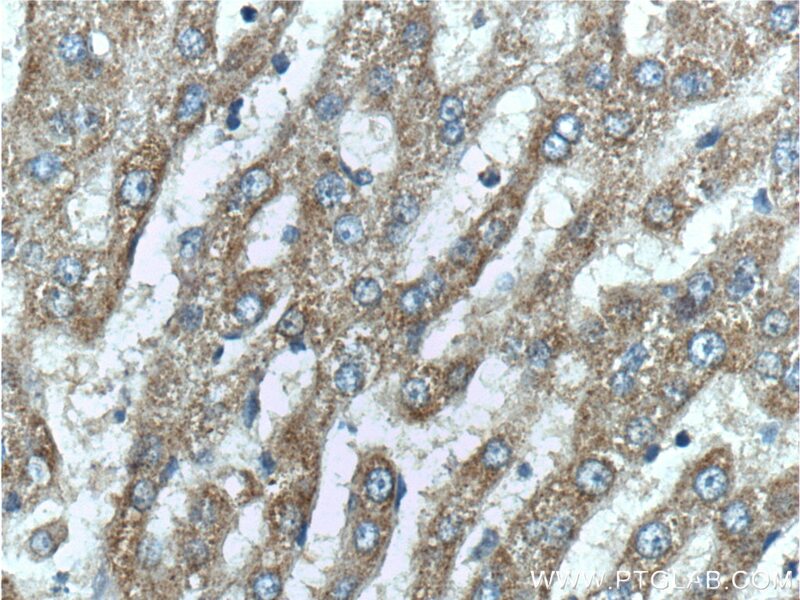 Immunohistochemical analysis of paraffin-embedded human liver tissue slide using 16776-1-AP( Plasminogen antibody at dilution of 1:200 (under 10x lens). 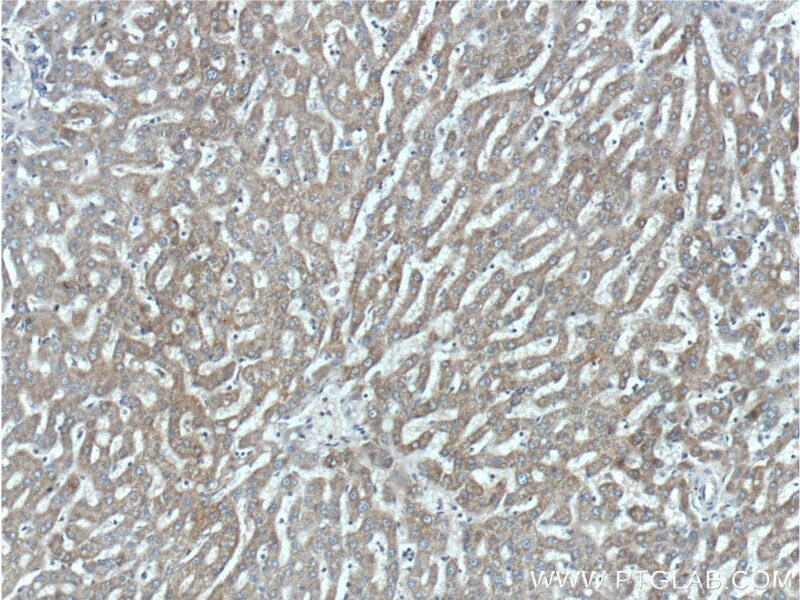 Immunohistochemical analysis of paraffin-embedded human liver tissue slide using 16776-1-AP( Plasminogen antibody at dilution of 1:200 (under 40x lens). Root dentin Anomaly and a PLG mutation. 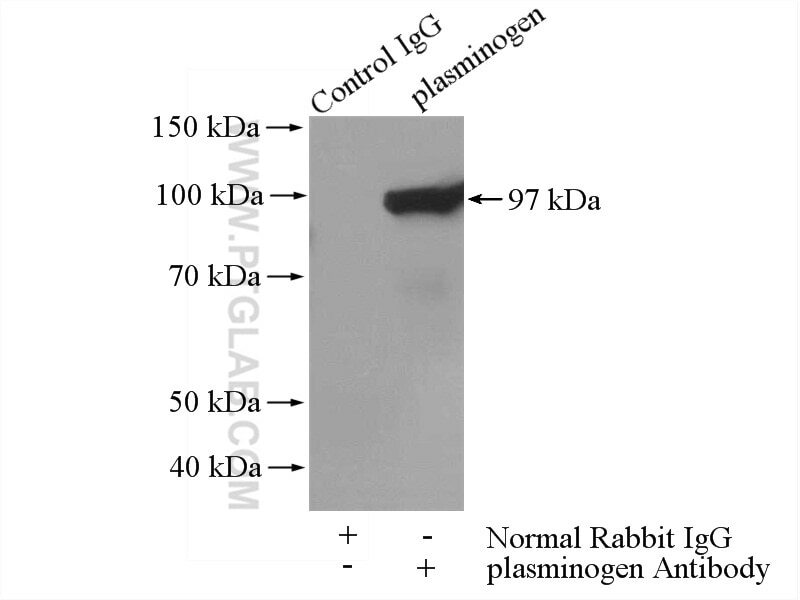 High-level expression, purification, and enzymatic characterization of truncated human plasminogen (Lys531-Asn791) in the methylotrophic yeast Pichia pastoris.